So you want to apply the Lean Startup principles to your startup and you need a hand, right? That’s great, you’ve come to the right place! 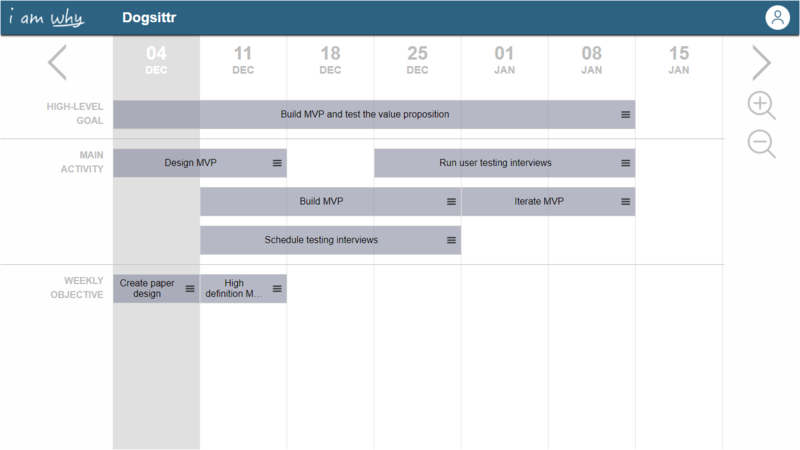 I’ll show you how to use a template for carrying on the Lean Startup problem solution fit phase in I Am Why. 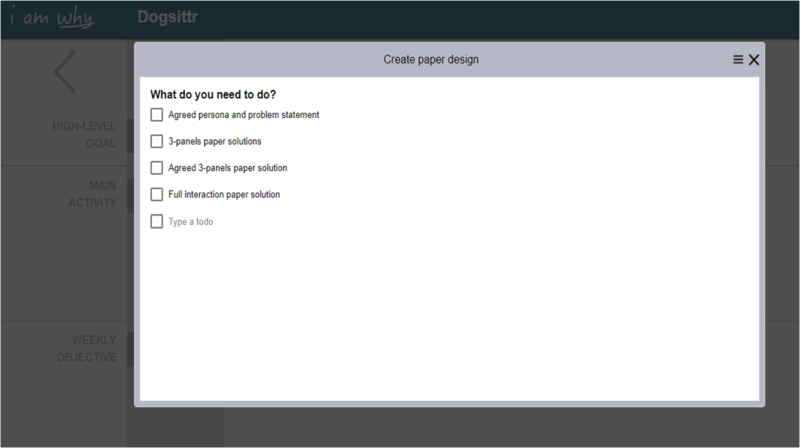 I Am Why is a free web application for developing and sharing your strategic plan with your team. At Mindiply, we’ve read many books about the Lean Startup strategy and it’s an incredibly useful tool for reducing risk when building new products or services. Although we endorse this approach, we’ve found that it’s often hard to go from what you read in the books to actual execution. First, you have to turn what you've read into a strategic plan. Second, you have to stick to the plan. This is often easier said than done. When you focus on the day-to-day tasks, it’s very easy to lose sight of the big picture. 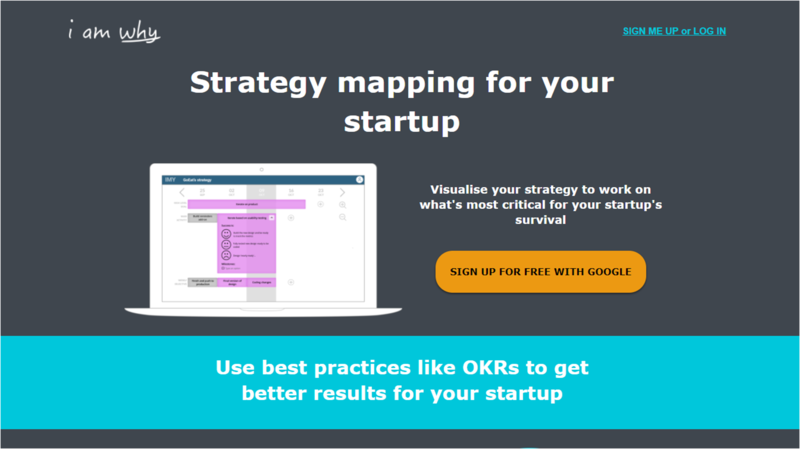 So we developed I Am Why, a web app where you can visually map the plan for developing your startup, and see on the same page what you want to achieve (strategy) and how to get there (tactics and tasks). This is possibly one of the toughest steps of the whole Lean Startup methodology. You think you've found a problem and thought of a smart solution to it, now you have to validate if it will be appreciated by your potential customers. The aim of this phase is to reduce the risk of wasting a lot of resources building something nobody will ever care about. I know you’re already in love with your beautiful solution, but this doesn’t mean that users will realize the value of your unique value proposition! The Problem-Solution Fit template is immediately there when you launch IMY for the first time. Go to https://imy.io, sign up using a Google account, and add your company’s name. In this tutorial, we’ll use the fictional startup Dogsittr, which is building an app for calling a dog-sitter on the fly, with user ratings, reviews and everything could make a dog owner happy. If you see a large bar with content in instead, just close it by clicking on the X icon on the top right corner of the bar. I’ll show you the meaning of that content soon. the last one (weekly objectives) you can list all the objectives you expect to complete this week. The length of the bars represents their duration in weeks, if you want to change it just click on a border and resize the length. Time to set your high-level goal (HLG), that is the main objective for the next few weeks. 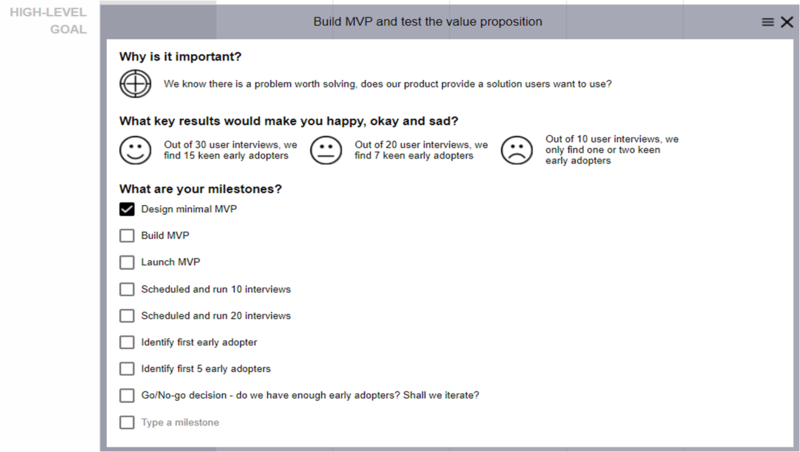 Your high-level goal is currently called ‘Build MVP and test the value proposition’, since you’ll need to have a working version of your solution and some people to test it with, in order to validate your problem solution fit. If you want to change the name of the HLG, just click on it edit it freely. Now, click on the bar to open it and you’ll see that there is some content inside. The next section contains the expected key results. The Lean Startup strategy says you should always verify your hypotheses quantitatively, so it’s time now to set some expected results. What success will look like? What will be a partial success? And what instead would be a true failure? This way you ensure you have a testable and measurable goal. The last section is a list of milestones, markers on the road that allow you to have an idea of how much progress you are making towards the goal. When you reach a milestone, just tick the associated box. Looking forward to seeing all the list checked! Note: you can edit all the content in the template to fit in with your product and your work pace. And you can also add more cards by clicking anywhere on an empty space. The main activities are the core of your strategic plan: once you have defined where you expect to go, it’s time to decide how you’ll go there. 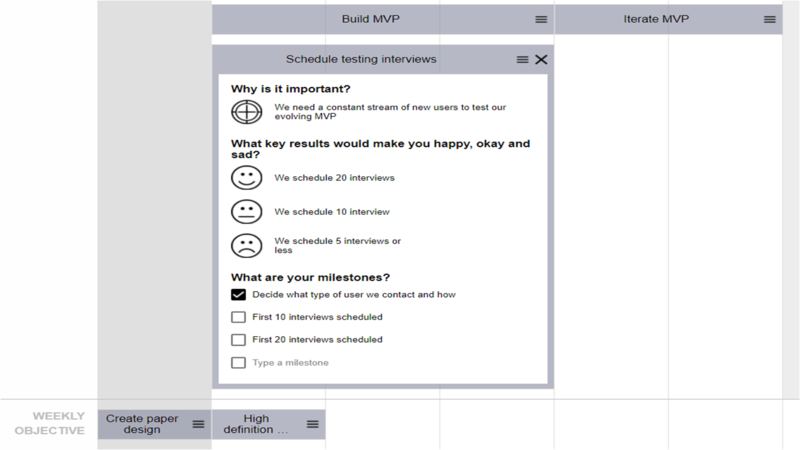 You can see that for validating your solution fit, you’ll need to work both on developing the product (3 activities: Design MVP, Build MVP, and Iterate MVP) and on the user testing (2 activities: Schedule testing interviews, and Run user testing interviews). Each activity has more content inside (‘why?’, key results, and milestones), like the high-level goal. Edit the content and length of the activities according to your own needs. Step 5. Let’s get to the point: what should you do this week? The current week is highlighted in grey. If you want to know what to do this week, just have a look at the main activity layer: which activities are scheduled for this week? In this case, in the only main activity highlighted is Design MVP, which is expected to last two weeks (one for the design on paper, and one for the high definition mockup). So the priority for this week will be to do everything that’s needed to have the paper design ready. 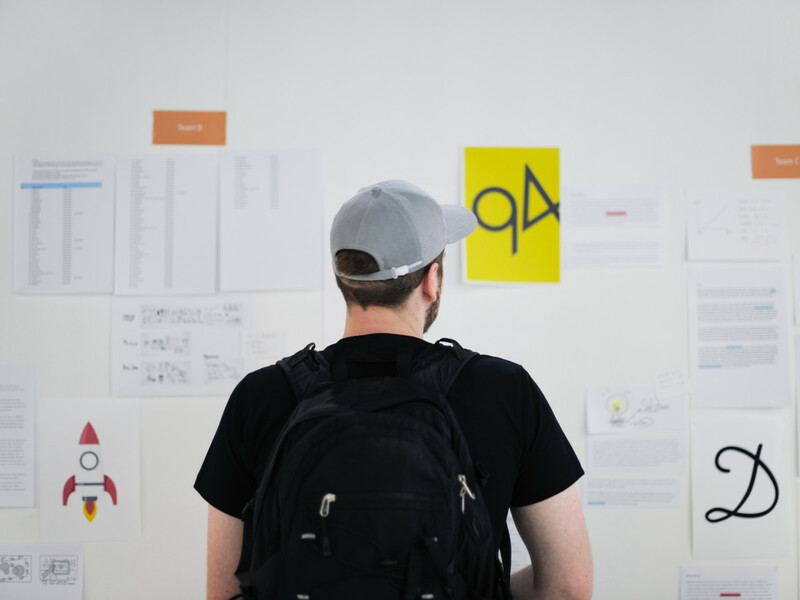 Of course, during the week you’ll have to do many other small or big tasks to keep your business going, but remember that the priority is to focus on the design. Step 6. Check progress and iterate until success! At the start of a new week, take some time to check your progress: have you achieved all the milestones expected for the previous week? And how well are we proceeding with the main activities? It’s very likely that sooner or later you’ll be behind your original plan, but you don’t have to lose heart: unrealistic optimism and the planning fallacy are two extremely common cognitive biases. We know them very well! Just adjust your plan as you go and go back to work with full energy. And what if numbers say that your solution is not what users were looking for? 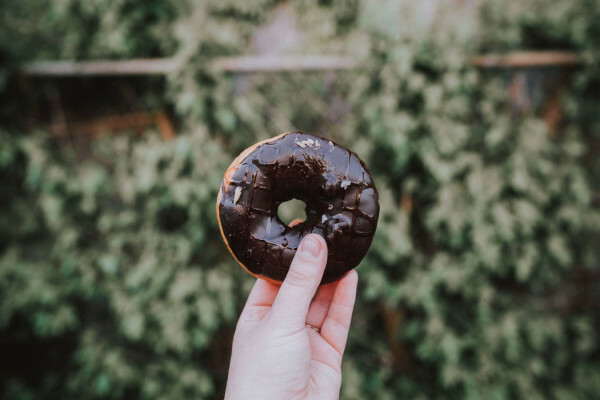 We know the feeling, and it’s not a pleasant one, but try to see the glass half full: at least you’ve avoided spending time building a full version of the wrong product. You can iterate on the MVP (if you think that the version you tested did not deliver enough value) or the concept of the solution, and use the feedback you received from users to create a better product. As Thomas Edison said, I have not failed. I've just found 10,000 ways that won't work. This is the end of this tutorial, now changing, tracking and refining your strategy it’s up to you. And of course, you can still use I Am Why for all the other phases of the Lean Startup methodology. Moreover, if there are any other templates you would like to see in IMY, just let us know by writing at hello@mindiply.com, and we will be very happy to add them! One last thing: IMY has been developed for startups and SMEs by a startup. This means that we know and share your same joys and pains of following our passion, but also that we really need your feedback. Only with your comments and suggestions we can improve IMY and make it really useful for making startups better at strategic planning. So drop us a line at hello@mindiply.com, we’re nice people to talk with!